Clients today expect personalized outreach, proactive insights, and goal-based planning — delivered the moment they want it. 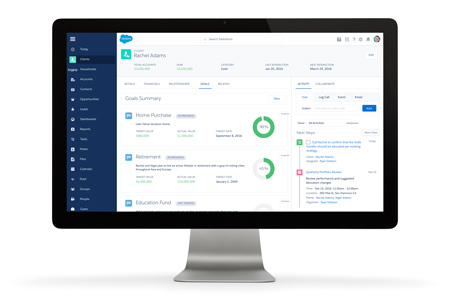 In order to meet these new expectations, Salesforce has taken the World’s #1 CRM and reinvented it for financial advisors. To learn more about Financial Services Cloud, simply fill out this short form and we will contact you shortly.